In the opening frame, the Wolves managed to get on the board first, by means of a broken play. 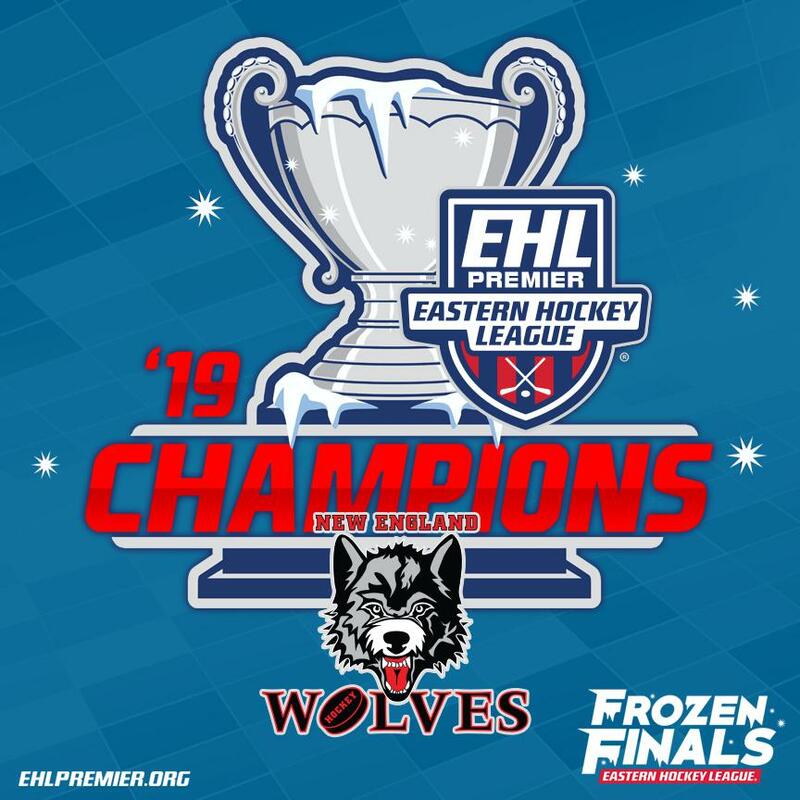 After a pass redirected to the stick of Jack Johansen, the 2018-19 Defenseman of the Year didn't miss as he fired a shot past Graham Burke from the high slot at the 15:09 mark of the period, to give the Wolves in early lead. Both Jonah Pickens and Nathan Severance were credited with assists on the goal. 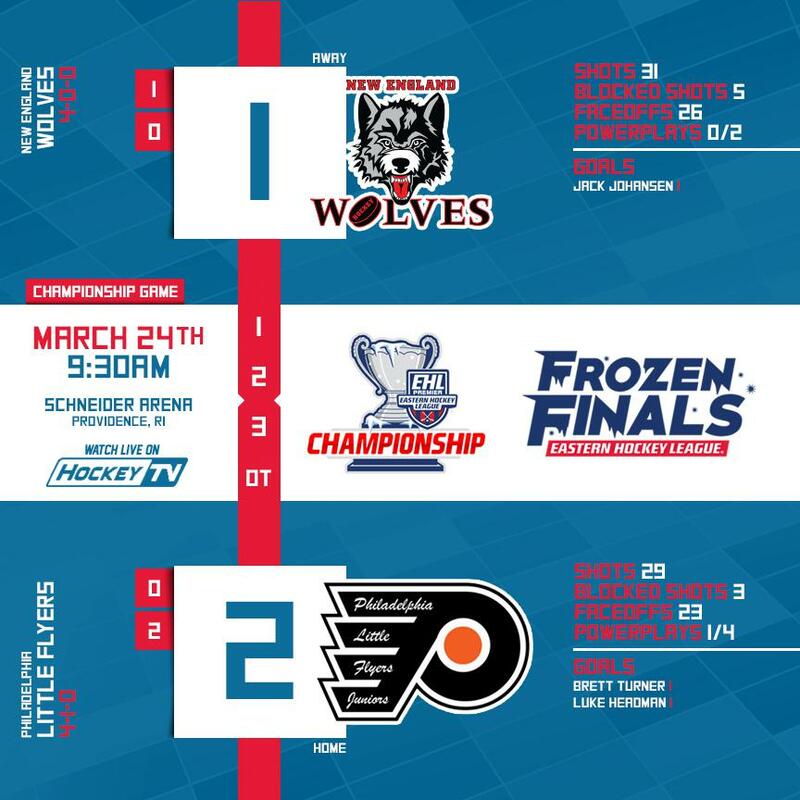 It didn't take the Little Flyers much time in the 2nd period to tie things up, as Brett Turner knotted the score just 32 seconds into the frame. Turner took the puck virtually end to end, and then slid the puck through the five-hole of Ryan Fueg. Austin Mazzulo had the lone assist on the goal. Carpenter was just getting started, as a little less than 10 minutes later, Sam Danais sprung the Wolves' top scorer on a breakaway. Following the incredible feed, Carpenter beat Burke just over the glove, and the Wolves were back on top. 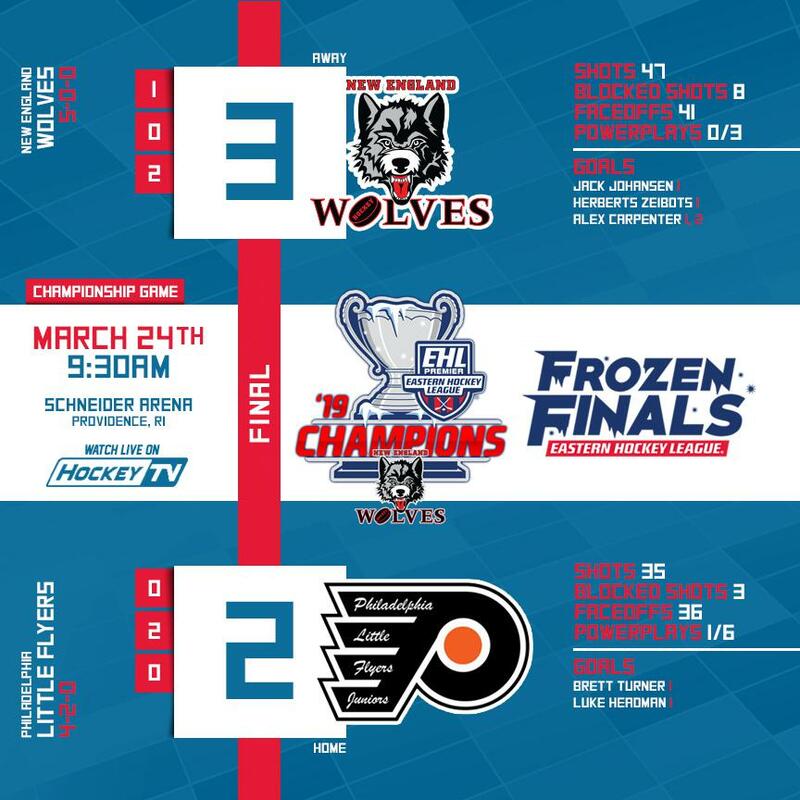 After starting the regular season with wins in their first seven games, the Wolves were dealt their first loss by the Little Flyers, way back on October 7th. It's safe to say that New England remembered the 11-3 defeat they were handed that day, and then went out and earned their revenge, in the biggest game of the season.